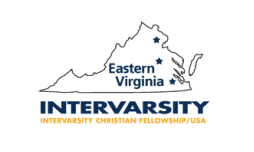 Each February we join with InterVarsity chapters from other schools in the Eastern VA area for a conference at the Hampton Roads Convention Center, next to the Coliseum in Hampton. On years that we run a track based conference, students can choose from one of five challenging tracks such as prayer, scripture, leadership, justice & mercy, and exploring Christianity. On years that we run a topical conference, students attend 4 main sessions where they hear from a speaker and engage in musical worship. They also spend time in small group discussion and have the option to attend breakout sessions led by staff. All of the photos below were taken by our CNU Greek IV staff, Lindsay Fauver. All framed quotes are from Welcome to the Story by Stephen J. Nichols. The typical cost for attending fall conference is $70-$90 for conference fees, a 2 night stay at the hotel and 2 breakfasts. Every year we give scholarships to CNU students who are in need of funds. If you are interested in donating to the scholarship fund to enable a student to attend this conference free of charge or at a discounted price, please use the links below.